MIT‘s nuclear fusion reactor Alcator C-Mod set a new world record on its last day of functioning at their Plasma Science and Fusion Center. Due to lack of government funding, the experimental reactor closed the end of September, right after scientists broke the plasma pressure record. MIT set the previous record over a decade ago. Fusion energy powers the sun, but it’s not so easy to replicate on Earth. In order for scientists to successfully generate fusion energy, plasma must reach a certain temperature, be confined for a certain amount of time, and reach a certain particle density. Density and temperature create pressure, which according to MIT is two-thirds of what scientists require to successfully create fusion energy, so pressure records are a big deal. The last record, set in 2005, sat at 1.77 atmospheres. The new record of 2.05 atmospheres means MIT improved pressure by around 15 percent. When Alcator C-Mod set the world record, the temperature inside the reactor was more than 35 million degrees Celsius, which is roughly twice as hot as the sun’s center. 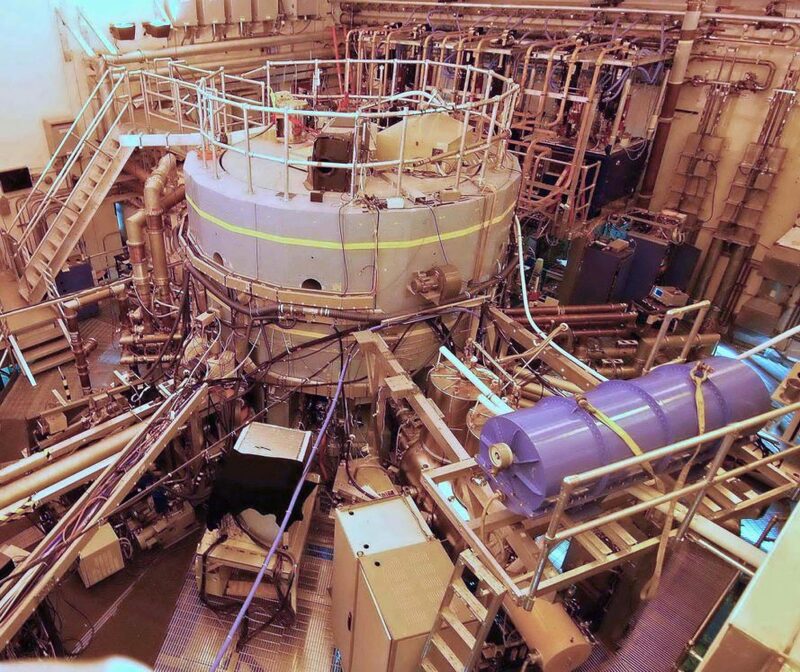 Other fusion experiments have attained such high temperatures, but at much lower pressures. The plasma in the reactor generated a staggering 300 trillion fusion reactions every second. The area required for this feat was tiny; according to MIT, it was just 1 cubic meter, or about the size of a coat closet. Alcator C-Mod operated for 23 years until Congress decided to stop funding it in 2012. They ultimately decided to fund Alcator C-Mod for three more years, a time period that ended September 30, 2016. If you have questions about nuclear fusion energy or the reactor, MIT scientists, faculty, and students will participate in a Reddit Ask Me Anything (AMA) session on October 20 at 1PM EDT. RODKEH, you're such a genius, YOU make a fusion reactor. What is it that produces the explosion of a nuclear weapon? That's right, heat and pressure is what causes nuclear "fission", not fusion! These fools will never produce fusion, they just have no idea of subatomic structure or subatomic processes. If nuclear fusion and fission are opposite and reversible processes, then it is ludicrous in the extreme, to think you should use the same mechanism to catalyze both. If adding heat and pressure causes the reaction to go one way, then reducing heat and/or pressure should make it go the other. The fact that these fools think they can use the same process for both, speaks to their ignorance of what is really happening. MIT scientists set a world record at their experimental nuclear fusion reactor. They set the record for plasma pressure, a crucial component of generating fusion energy. The reactor closed the end of September due to lack of government funding; the scientists set the record of the last day the reactor ran.